Women love to talk. Talking can be inspiring. Inspired people are creative people. And now a bundle of conversing women of the creative world have formed a circle and this circle has created a book. 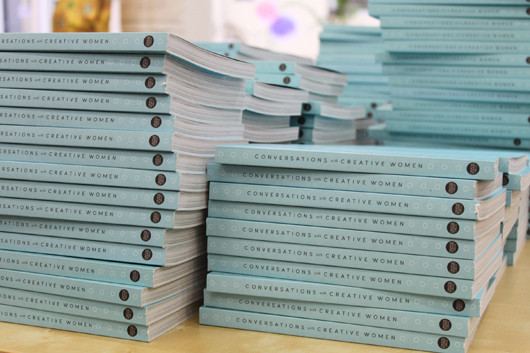 No need to read between the lines, Conversations with Creative Women is exactly that. You will open up to find pages of words and pictures with work, ideas and stories from a diverse range of women that carry one thing in common – creativity. With a limited number of copies available, we feel touched to have some making their way onto our shelves this week. Pop by to 31 Flinders Lane if you like to have a squiz. This looks like a great book - inspiring - Thank you!